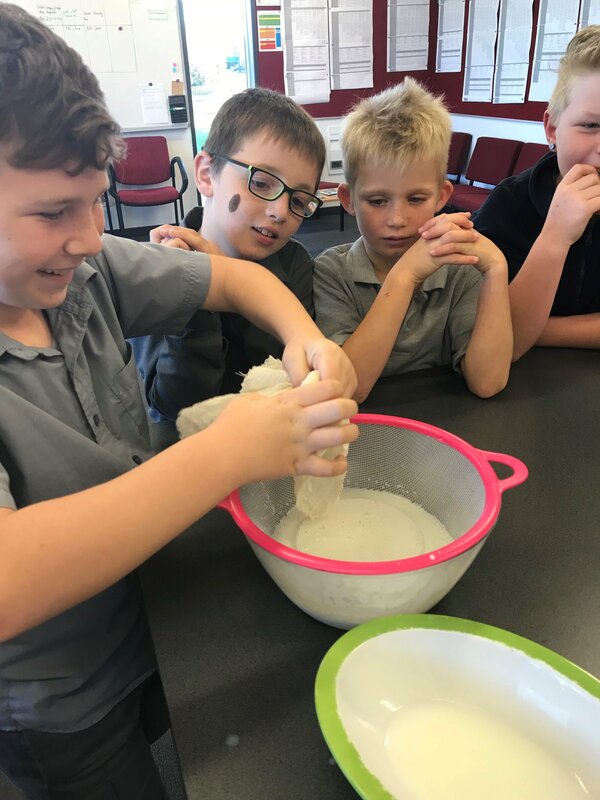 DairyNZ’s latest classroom learning kit is giving kids a real taste of science in the classroom. 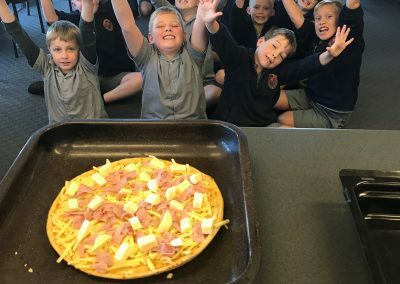 More than 5500 children around the country have been sinking their teeth into DairyNZ’s Is it Cheese? kit. This in-class learning resource for students aged eight to 12 has been a big hit, with all 200 kits snapped up by teachers just nine minutes after being launched on School Kit’s website. Is it Cheese? 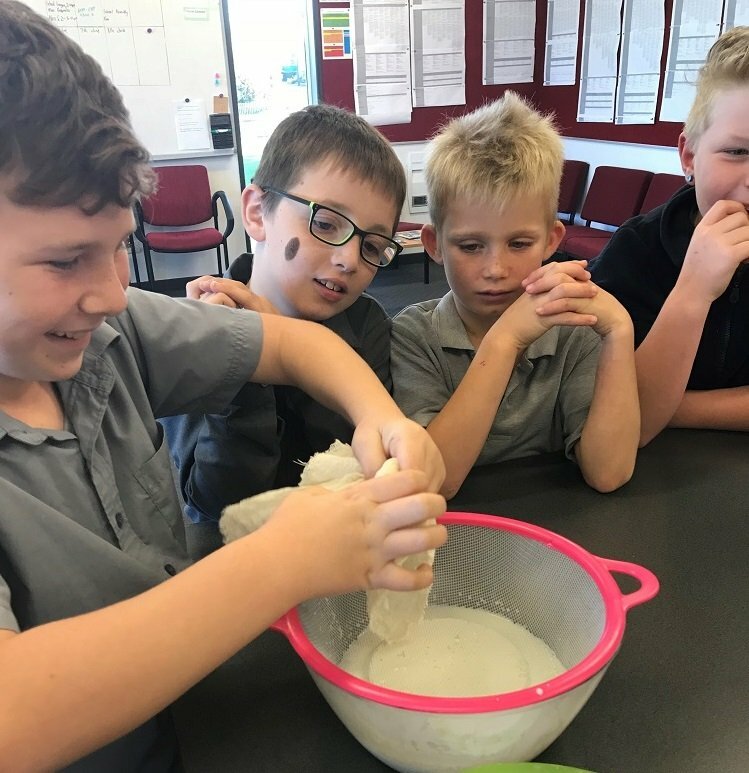 teaches students about an element’s change in state (in this case, from liquid to solid), a mandatory part of the New Zealand school science curriculum. 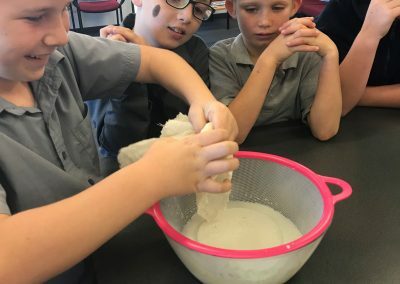 The lesson enables children to compare chemical and physical changes through the cheese-making process. As part of the lesson, students learn what elements make up milk, how milk curds form and the crucial role of milk curds when making cheese. 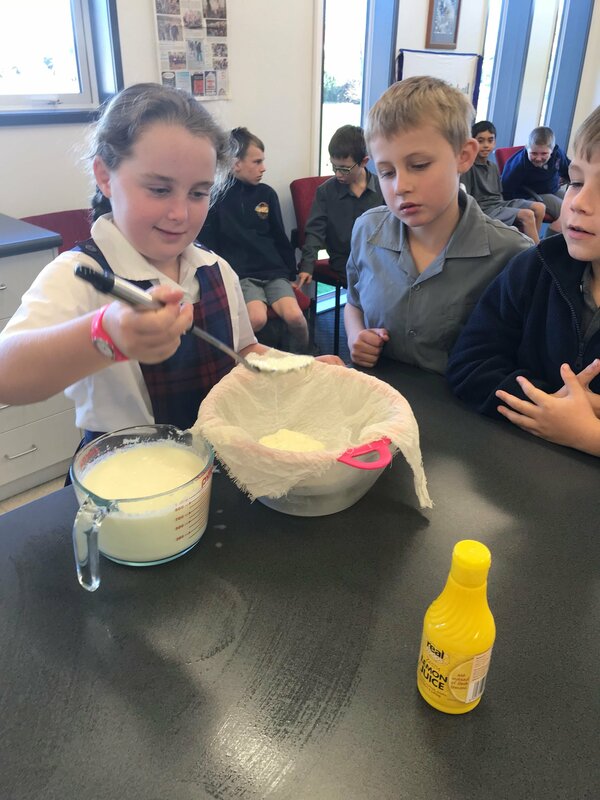 Children then make three mixtures of milk curds and investigate the chemical and physical changes that happen when a different acidity level is added to each mixture. 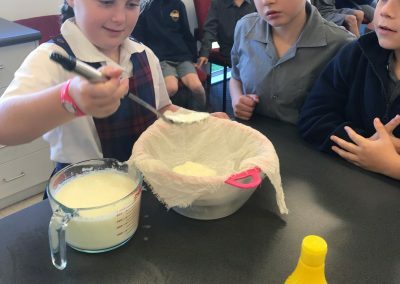 Teacher Gemma Wilson from St Canice’s School in Westport used DairyNZ’s Is it Cheese? lesson and science kit to experiment with a range of creations. Students successfully made a range of cheeses. These included paneer (soft curds) and mozzarella (soft-medium moulded curds). Kids even discovered that by adding a strong acid like vinegar, the curds harden to a substance resembling plastic. “The kids loved that there was enough of the resource for everyone to be involved in the process,” says Gemma. 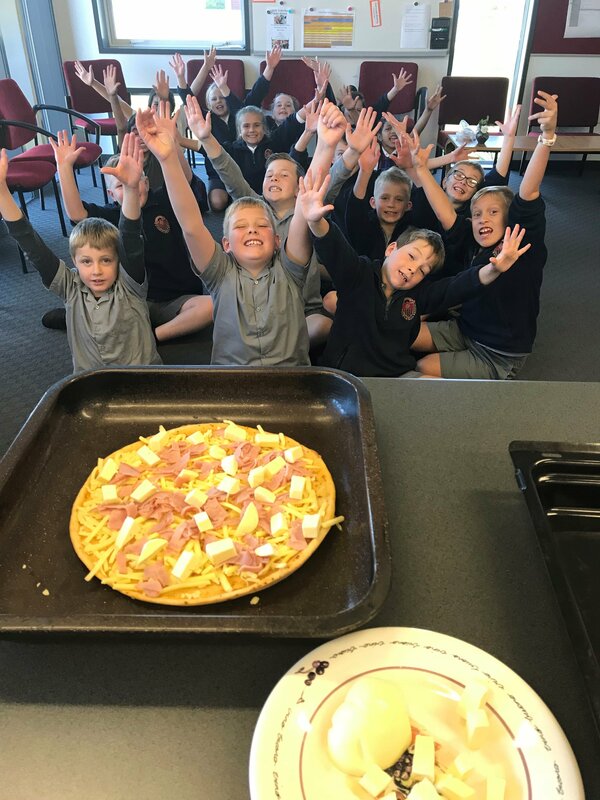 “There were lots of questions about the different acids put into the cheese mixtures and lots of interest in the milk curds. The children looked at the milk left sitting on the window sill every morning to see if it had separated. All of our students had a go at tasting all the cheeses, which was huge! They were keen to try new flavours.